The U.S. Environmental Protection Agency has awarded $239,000 to the New York City Department of Parks and Recreation and the New York Natural Heritage Program at ESF to better protect wetlands throughout the state. "Wetlands provide enormous environmental benefits, and help in alleviate harmful effects of climate change, such as protecting against flooding and potentially dangerous storm surges," said EPA Regional Administrator Judith A. Enck. "By strengthening shorelines and restoring wetlands, we are also protecting the habitat of fish and wildlife." The New York Natural Heritage Program at ESF will use a $141,000 grant to evaluate the relationship of "buffer zones" and surrounding land uses on wetland conditions. The Heritage Program will focus its work in urbanized areas within the Great Lakes region, for example, watersheds of the Genesee River, Niagara River and Lake Erie. 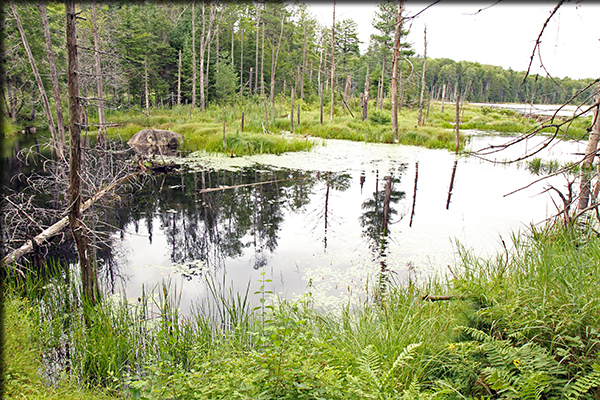 The program will also develop draft recommendations for conservation policies based on wetland type, surrounding environmental characteristics, and the influence of buffer zones. The New York Natural Heritage Program will contribute $47,000 toward the total cost of this project. The New York City Department of Parks and Recreation (NYC Parks) will use a $98,000 EPA grant to revise its monitoring procedures to more accurately report the status and success of the agency's restoration of salt marshes. The agency will develop an experimental design plan for a salt marsh restoration project in Jamaica Bay. NYC Parks will also use this grant to draft guidelines for urban salt marsh mitigation and restoration design, and to facilitate a technical workshop to review and discuss these guidelines. NYC Parks will contribute $36,000 towards the total cost of this project. Since 1990, the EPA's Wetland Program Development Grants have provided financial assistance to help build or refine state and local government wetland programs. These funds provide opportunities for recipients to conduct research on comprehensive wetlands programs at the state and local level. Recipients of these grants are required to contribute a minimum of 25 percent of the cost of the project. - This news release was distributed by the U.S. Environmental Protection Agency Dec. 15, 2014.